I really have no other way to describe this look except to say it looks so chic. 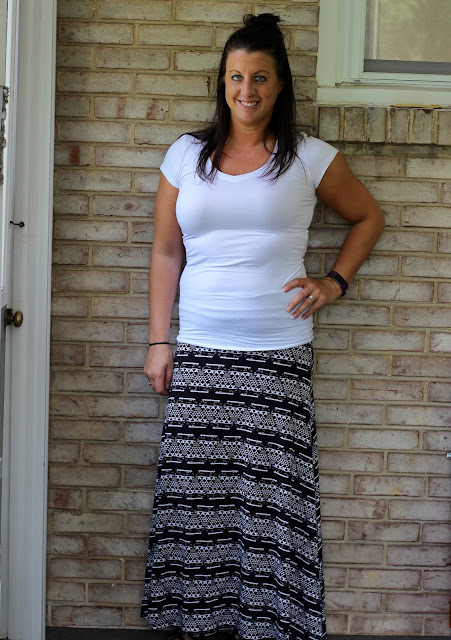 It's just a simple The Mogan White T with a LuLaRoe maxi skirt. The black and white print helps keep it simple. 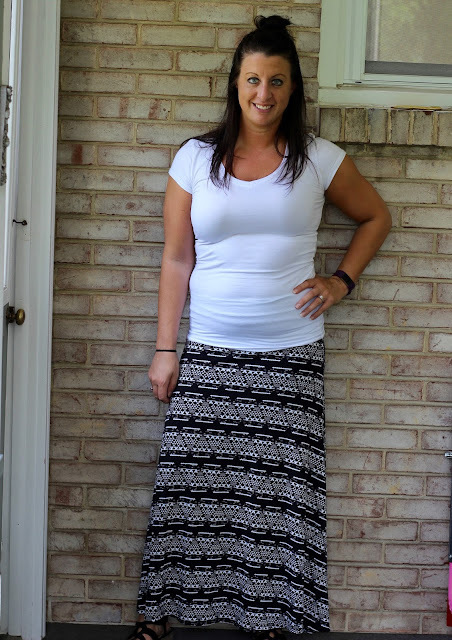 I don't even know what to call the pattern or design on this skirt but I do have leggings in the same pattern and I freakin' love them!